Born in 1967 in Warsaw, author of the debut novel Zawsze jest dzisiaj [It’s Always Today]. Studied history and art history. 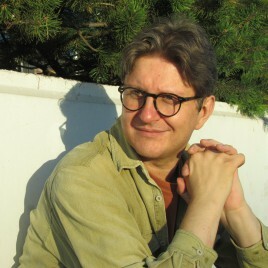 He has worked at Gazeta Wyborcza, for the jury of the Nike Literary Award and for the United States Holocaust Museum in Washington. He lives in the Ochota district of Warsaw. Drunks and Gypsies, saleswomen and policemen, waitresses and teenagers. Streets and back alleys, falling leaves and squeaking snow. Mosquitos, dogs and fruit flies. Tins, shopping bags and cookies. A kaleidoscope of Varsovian daily life, described bravely and tenderly, familiar, practically at one’s fingertips. The walk with Michał Cichy is an unhurried contemplation of the here and now, a meditation journey without stopping and without end.